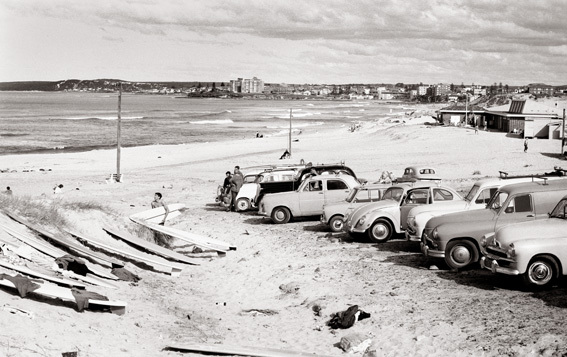 Surf City will track Sydney’s dynamic surf scene through the 50s, 60s and 70s: spanning an amazing period of social upheaval, post war optimism, teen angst, rock and roll, prosperity, drugs and shifting cultural frontiers. We’ll feature Sydney’s surfing hubs, hot spots and cultures along with the movers and shapers who stirred the pot during these vivid and volatile years. 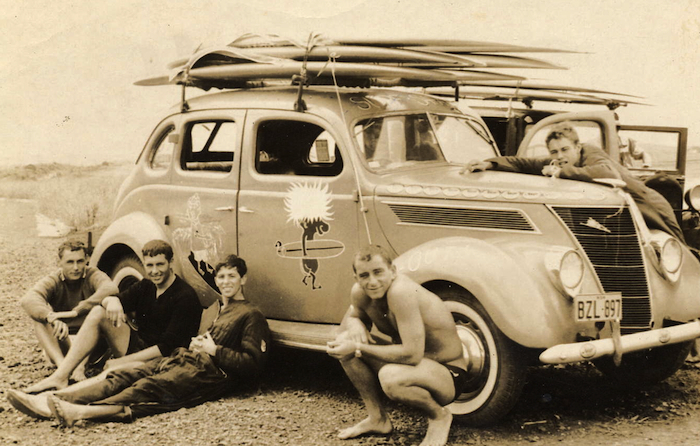 We’ll also show what surf-crazed Sydneysiders wore, watched, made, rode, heard and read and even reveal how surfing changed Sydney. The exhibition will contain boards, movies, photos, magazines, music, clothes, everyday surf wares and treasures. They’ve also set up the Surf City blog, which is well worth checking out. Here are some jems we found on there. 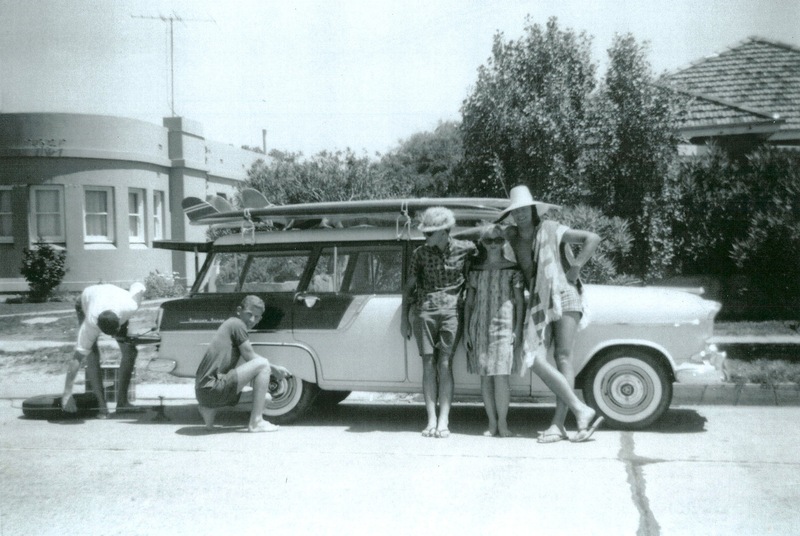 Great photo of Baba Looey’s illustrated ‘37 Ford, with a load of boards in the early 1960s. 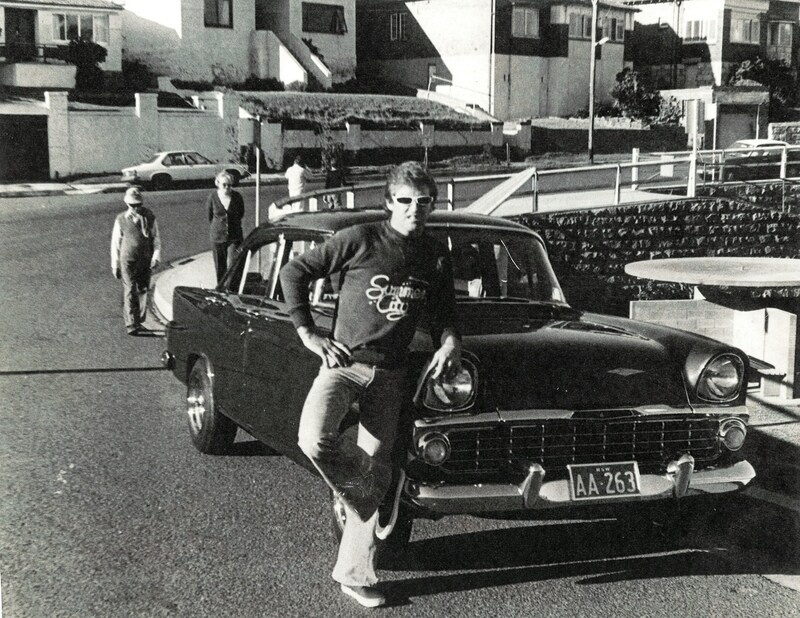 Ross Bailey – Mel Gibson’s stunt double in Phil Avalon’s Summer City – poses for promo pic at Tamarama, 1977. Bondi surfer John Knobel changing a tyre on Pittwater Road in the early 1960s, photo courtesy John Knobel. Sydney’s Wanda carpark, 1962, photo Bob Weeks.